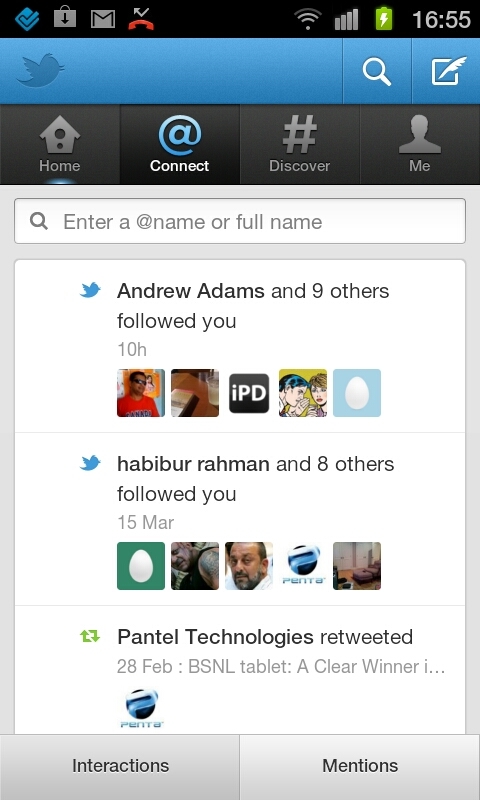 The Twitter apps for Android and iPhone have now received the big refresh. This update and refresh now brings a lot of features and facilities for the users. It has been some time now that people were waiting for the update by Twitter. Now the long wait is finished as Twitter declared recently that there will be a number of latest features that will be there in the mobile versions of the micro blogging site. With the updated search feature, it now provides alternative spelling for the search terms. This way, the users can now find what they want with ease. Also, users can find others under Connect tab. Like the social networking site describes, one can start typing the name or the username of person that one is looking forward to search and so the name will be automatically shown up for all those whom you follow. This is a great update feature that offers the suggested spellings as well as related terms while one searches on the site. So, when carrying out a search, the application autocomplete searches the people. Then, mainly designed for iPhone, the site has also added the capacity to tap search box in the Discover section and observe the recent queries and the capability to move directly to one’s profile while searching for some username in the Connect tab. The much required swipe facility is also there with the update that allows one to swipe through tweets to re-tweet, favorite it or reply. One can either tap or swipe and get the extra interactive options. There is no requirement to hop over a person’s timeline to reply to the tweet. Use the swipe feature and enjoy replying, re-tweeting and other options. The Discover tab is also updated now. Much as the Web version, this Discover tab helps the users to know the tweets that people you actually follow have re-tweeted or made the favorite. Also, the Activity stream has been updated. As per the official description, the Activity is the line of updates which highlight Tweets that are re-tweeted and favorite it by people that you follow and the accounts of people that such people add to in their lists or follow. The Activity update allows the users to easily tap the story as they see Tweets regarding some particular trend or article. Twitter has in fact added the push notification as well for every type of interaction. This simply means that one does not just get the notifications as someone mentions one or re-tweets the tweets, one even gets notification as someone starts following you. It is now believed that Twitter just hopes that the redesigning simplifies the procedure to find some new contact. All this is possible with the latest search and discover updates. Even the notification update allows the users to keep updated about the feeds. 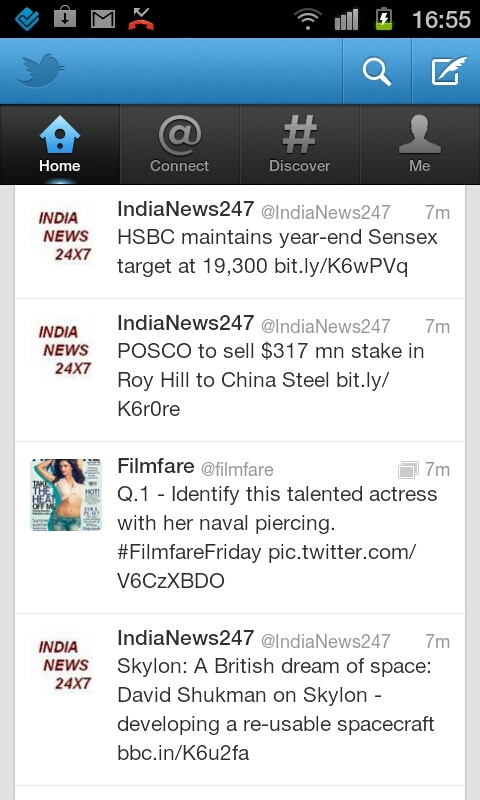 So, the updates made by Twitter for iPhone and Android apps are surely worth noticing and using for one’s benefit. Stay up to date and know what all is there in store for you from Twitter now.